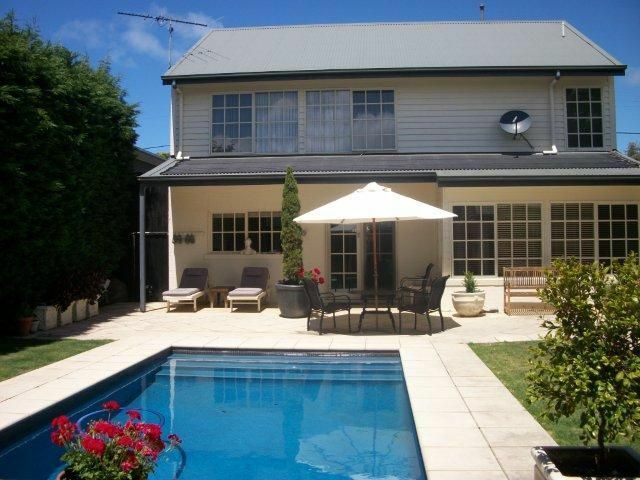 (*2 week minimum rental from the 26th Dec 2012/13)This immaculate property with pool is located in Central Torquay and offers an ideal way for a relaxing holiday. Outdoor entertaining area's quite comfortable and large. Tall trees give total privacy in all the rear yard. Sleeps up to 5 people with 1xKing, 1xDble and 1xSgle beds in the three bedrooms. Two bathrooms, three toilets. Split system air conditioning and quality appliances/fit-out throughout.. NO GARAGE.